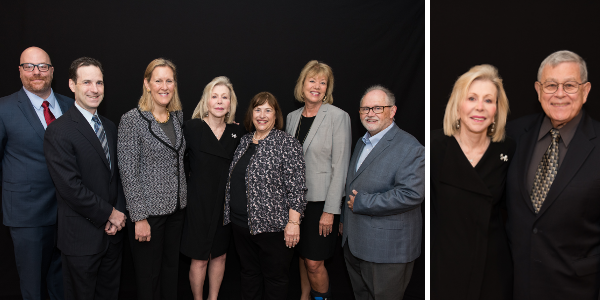 Sixty guests attended the Keystone Foundation’s annual Celebration of Glenkirk and Search, an evening of appreciation for the amazing people that give so much of themselves so that the lives of others are brighter. 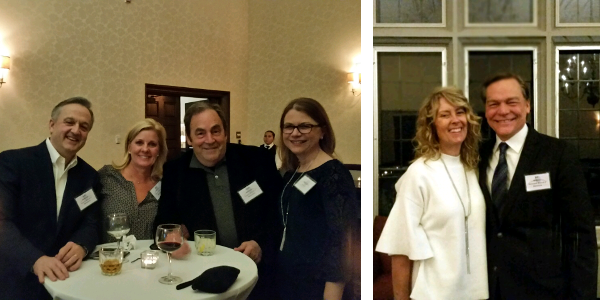 The event hosted by the Keystone Foundation Board of Directors was held on Jan. 18, 2018 at the Michigan Shores Club. 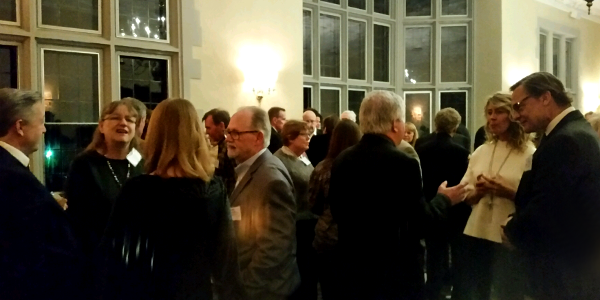 Thanks to the boards of Glenkirk, Search and the Keystone Foundation, as well as major donors and their guests for a wonderful night. 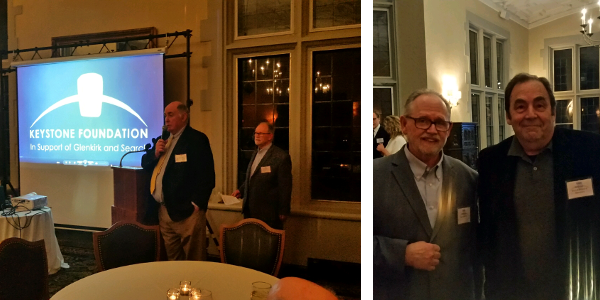 The evening featured some delicious food and beverages, a pianist, leadership remarks, and a short video about the impact of gifts made to the Keystone Foundation’s Heritage Society. Guests celebrated Keystone Foundation’s surpassing more than $1 Million in commitments to the Heritage Society since the fund officially launched one year ago. The highlight of the evening was the announcement of the Wesselink Family Foundation’s $150,000 Heritage Society matching gift pledge. All “new and increased” gifts to the Heritage Society will be matched up to $150,000 from the Wesselink Family Foundation. Thank you Dave and Linda Wesselink! To all the amazing people who have supported Glenkirk and Search throughout the years, and to ALL those who will become supporters of Glenkirk and Search in the future, thank you! 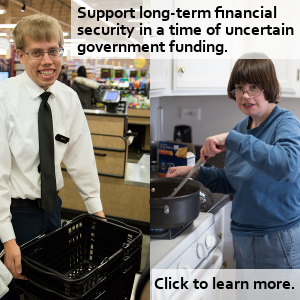 Gifts to the Heritage Society support a fund for Glenkirk and Search, which ensures long-term financial security in a time of uncertain government funding. This year's 20th Annual Glenkirk Benefit Brunch on October 22, 2017 at Ravinia Green Country Club brought more than 250 guests to dine not only on their breakfast favorites, but also to bid through mobile devices on auction prizes and also hope their raffle ticket would win! Chairwoman, Eileen Bennin, was presented with the Eileen Bennin Day Proclamation from Mayor Nancy Rotering of Highland Park, IL for her dedication and commitment to all individuals with intellectual disabilities. More than $175,000, including over $19,000 from the online auction and raffle, was raised to support Glenkirk’s essential programs and services.